Featured in the Wall Street Journal 04-01-09 Also GPS units, Laptops, Satellite phones, Radios and more! 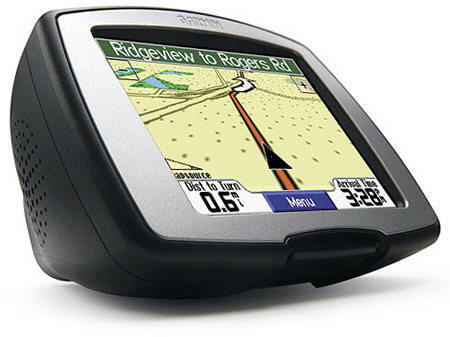 Buy Europe GPS Maps or Buy GPS Europe Unit With Maps and Points of Interest? Europe, USA/Canada and Mexico unit available. DON"T GET LOST! 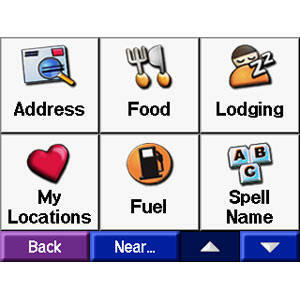 Don't expect to get affordable GPS rental when you arrive, our rates are much lower. 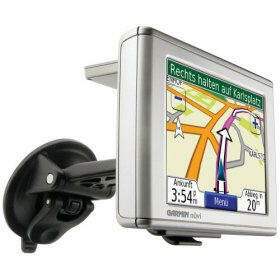 We also sell slightly used Garmin units with Europe maps for $199, call Tech-Go for details. 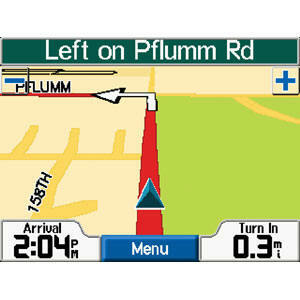 2 affordable GPS rental models with touch screen and car mount and car charger. 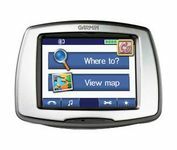 Latest 2009 maps and firmware! $10 off rental fees for order placed (limited time offer-type on order form)! Thousands of points of interest; ATM, Restaurant, Gas, etc. We can ship using Next Business Day and 2-day Fedex. Easy to return with included label! Fits in pocket, great for walking and car use. Supports Bluetooth link to cell phone. MP3 player. 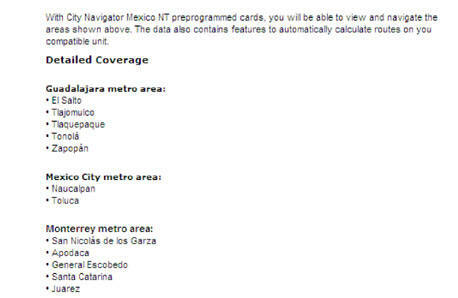 TRAVEL ALERT - most car rental European cars DO NOT have GPS units when you arrive. Speaks English (+ other languages) turn by turn. Audio & Video Navigation Instructions and Warnings. The GPS automatically calculates a route. Turn-by-turn directions guide you to your destination. 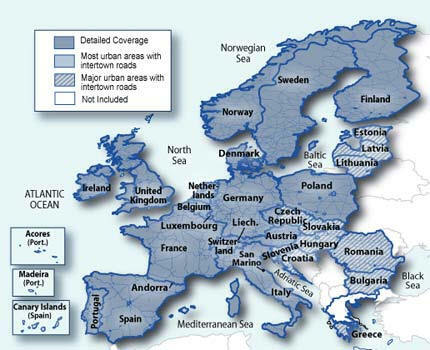 Contains updated 2008 detailed maps of major metropolitan areas throughout Europe. Expanded points of interest for the U.K.
Includes 12/24 volt car charger so you can plug in all cars worldwide. Wall charger available on request. Navigator contains general map detail for most cities and towns throughout Western Europe. Metro areas listed are covered in the greatest detail. Includes car charger. Wall charger available on request. Car charger provided. Euro Wall charger free on request if you do not have vehicle for entire trip. Speaks English (+ other languages) Audio & Video Navigation Instructions and Warnings.